Would you be brave enough to trek a pathway called The Bridge of Immortals? Situated in Huangshan (aka Yellow Mountain), a mountain range in the southern Anhui province of eastern China, the bridge, above, is located at a vertigo-inducing height between two giant, jagged granite peaks that dares adventures to cross its path. 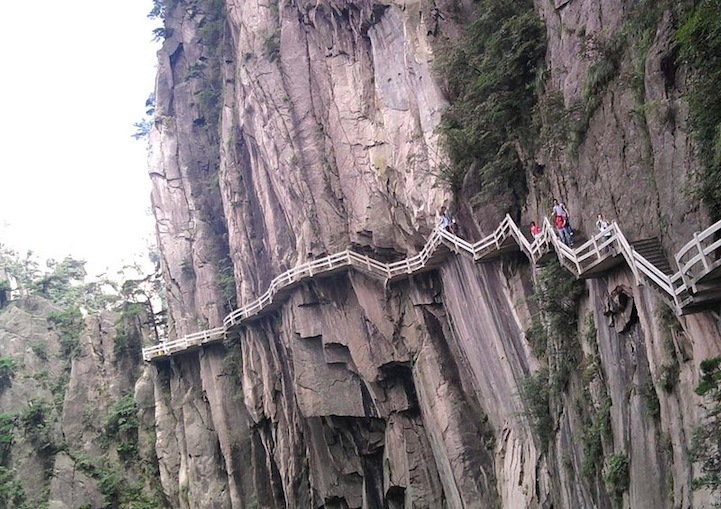 It is not the only risky walkway along the mountain range, though.